This is Leia. She’s an Iplehouse ABJD from their JID line. She has the Amy head mold, and the JID body with the small bust and mobility thigh. She’s a slim MSD, 43cm (17 inches) tall. 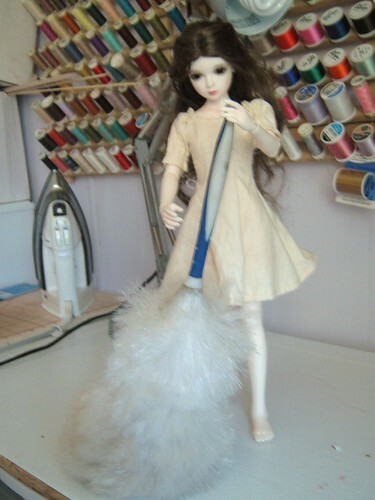 I purchased her head and body from two different sellers on the Den of Angels forum marketplace in 2009. I don’t usually buy dolls with faceups, but the price was right. Seeing this one in person, I’d say Iplehouse faceups are definitely worth the extra $50. It’s exquisite work. 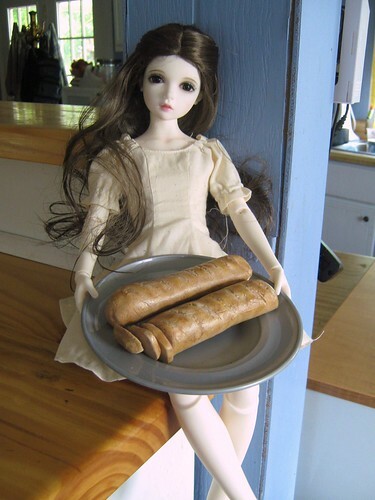 I’d love to have more Iplehouse dolls. Leia is wearing a Monique “Navajo” wig in dark brown, size 7/8 that I unbraided. She’s wearing 12mm brown glass eyes that came from Lati. If you’re looking into the JID line to add to your slim-MSD doll family, be advised that these girls are a bit bigger than most, and don’t share clothes as well as other dolls. Leia is sweet and quiet. Even though she can be a little shy, she’s not afraid to pitch in and help out when needed. She loves to bake, and her goal is to someday open her own bakery. 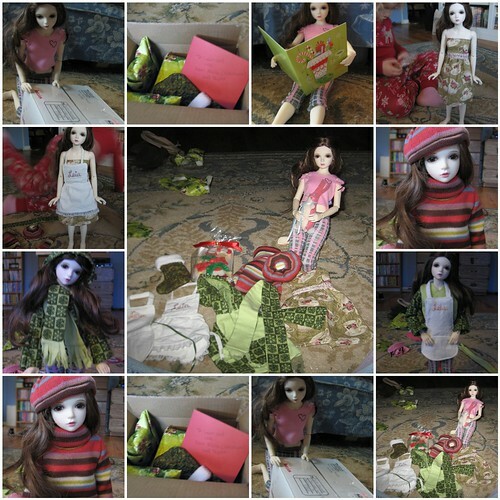 The pictures below show her opening her loot from a Santa Swap we participated in on the Den of Angels forum. This entry was posted in Uncategorized and tagged abjd, amy, bjd, iplehouse, jid, msd, slim. Bookmark the permalink.